You are going to Watch Star vs. the Forces of Evil Episode 12 online free episodes with HQ / high quality. Stream cartoons Star vs. the Forces of Evil Episode 12 Online Interdimensional Field Trip; When Miss Skullnick takes her class to the Echo Creek Museum of Paper Clips, Star leads a class field trip to a museum in the Dimension of Wonders and Amazement where she puts the entire class in danger. Meanwhile, Miss Skullnick learns some troll history. When a yarn monster captures the entire class, Star and Miss Skullnick must work together to save the entire class. 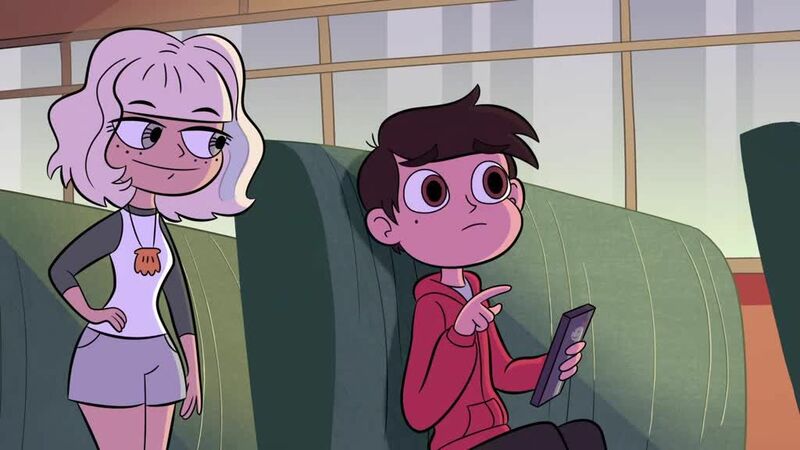 Marco Grows A Beard; When Star botches a spell to help Marco grow a beard in order to impress Jackie Lynn Thomas, it grows out of control and engulfs the house. Meanwhile, Ludo and Toffee lead their minions through the overgrown beard to obtain the wand.